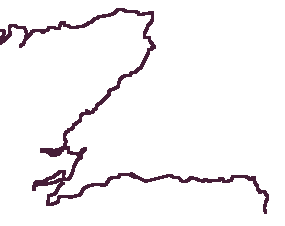 The Moray Firth stretches from Duncansby Head at the north east tip of the Scottish mainland to Fraserburgh in the east, with over 500 miles (800 Km) of coastline in between. Wildlife is abundant and includes the bottle-nosed dolphin. There is a long tradition of fishing for salmon, whitefish such as cod, and herring. For more information see the Moray Firth Partnership site.